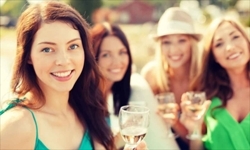 New Vine Wine Tours – The Premier North Fork Wine Tour in Long Island. 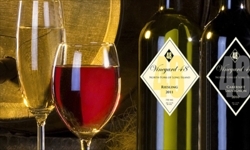 We also provide different long island wine tour packages for the ultimate Long Island Wine Tour experience. When people talk about wine and vineyards, one particular place comes to mind: a North Fork Wine Tour. With vineyards and wineries dominating the landscape, the area has become so popular to tourists. Among the many tourist services in the area, wine tours top the list. One particular North Fork wine tour company is found right in the heart of North Fork. 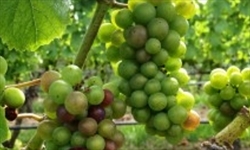 Are you looking for a North Fork Wine Tour that specializes in turning a regular tour into an unforgettable experience? The tour company offers varied packages that would cater your every need. They offer an “All Inclusive Package” that has everything from a luxury vehicle, to wine tastings, and even a gourmet cheese platter! You can also opt for the “Wine and Dine Package” that doesn’t only include a three-course meal, but also a complimentary bottle of champagne. Now, if there are activities that you want to tick off from your list, maybe “The Boss” package is more suited for you. With this package, aside from personally choosing your preferred wineries and distilleries, you can also include requests for special occasions, such as birthdays or anniversaries. Because our North Fork Wine Tour is owned and operated by New Vine Wine, you can rest assured that your tour will be guided by the most experienced tour specialists in town whose familiarity with the vineyards remain unmatched. There is also no need to concern yourself with transportation woes because people at New Vine Wine Tours would be pleased to make arrangements for you, whether you feel like touring on a party bus, or an executive style shuttle bus! Basically, your touring comfort is a game that they are very good at. This North Fork Wine Tour company is also popular for their gourmet lunches. With over eight varieties to choose from, you surely are in for a treat! Did I mention the gourmet boxed lunch you’ll be enjoying for the tour? Yes, and not just any gourmet boxed lunch, but one from Ammiratis of Love Lane. Yum, right? But this mere description of the tour company is not enough. Testimonials from previous clients say everything! There are hundreds of reviews on New Vine Wine Tours all over the internet, and all of the statements stand on the same ground. The company is so dedicated to their clients that tourists did not only give good reviews, but also recommended New Vine North Fork Wine Tour to their friends and relatives. Most of the company’s past clients can’t have enough of the great experience they had that they are looking to come back for more. 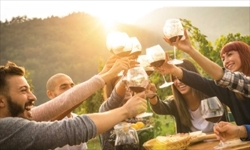 With over thirty wineries to choose from, coming back for another North Fork Wine Tour, or maybe two, is a guaranteed day of fun and excitement. If this is, still, not enough to tickle your fancy, visit the website at newvinewinetours.com and check out the gallery of picturesque vineyards and wineries, dining setups and wine tastings, and the happy and satisfied smiles of tourists. We promise, filling up the form for one of the tours would be the best thing you would do for the day. © New Vine Wine. North Fork Wine Tour, All Rights Reserved.